FlyQuest has suffered a setback ahead of the NA LCS opener. Sorry FlyQuest fans—you’re going to have to wait a bit longer to see Song “Fly” Yong-jun make his North American League of Legends Championship Series debut. Two days before the NA LCS resumes play for the 2018 season, FlyQuest has revealed that its mid laner Fly won’t play in the opening week due to visa complications. In Fly’s stead, FlyQuest will field its academy team mid laner, Jang “Keane” Lae-young. 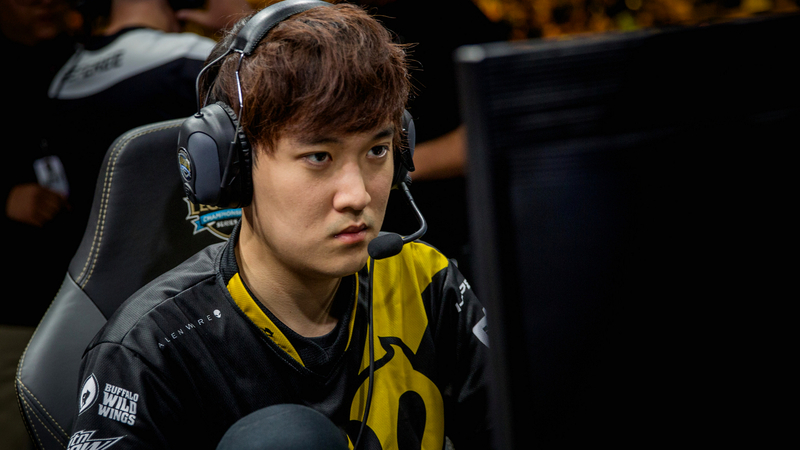 Formerly of Team Dignitas, Keane is an NA LCS veteran. Keane first joined the league in the beginning of 2015, as part of the promoted Curse Academy roster which later became known as Gravity. A mid laner with a wealth of experience, Keane has started for three different NA LCS teams over the past three years. Fly, who received a request for additional evidence during his visa renewal, will have his new visa “delayed by up to two weeks,” FlyQuest told fans. Since Keane will be playing with the LCS side, FlyQuest have recruited former Big God Jackals mid laner Isaac “Pekin Woof” Marconis to fill in for Keane while Fly’s visa issues are sorted. Pekin Woof will make his FlyQuest academy debut against OpTic Gaming Academy on Jan. 25. Keane on the other hand will join Jason “WildTurtle” Tran and company in FlyQuest’s season opener versus Echo Fox on Jan. 20.